First bike (and only one so far) that I ever bought brand new. Cagiva had bought Husky, and didn’t get many of these sold in the process of moving from Sweden to Italy. In 1990 they unloaded a bunch of these for real cheap – I paid $2300. 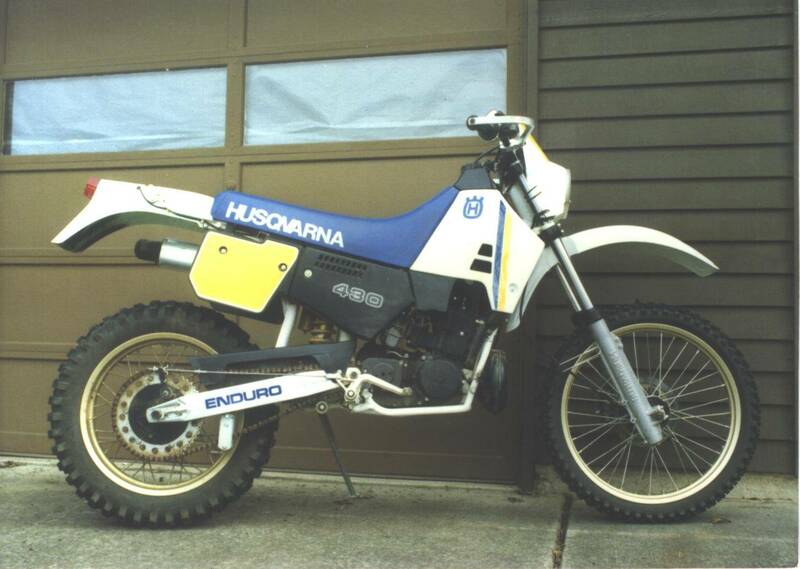 This 430cc, 6-speed, water-cooled, disk braked, 2-stroke has a heavy flywheel and was a wonderful deep woods bike in Oregon.